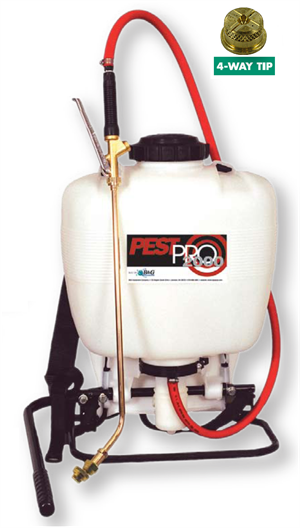 Perimeter applications to commercial and residential accounts are economical with a backpack sprayer. The B&G PestPro has all the features needed for an effective application: piston pump, ergonomic shoulder-strap, right- or left-hand pump handle placement, 18 in. 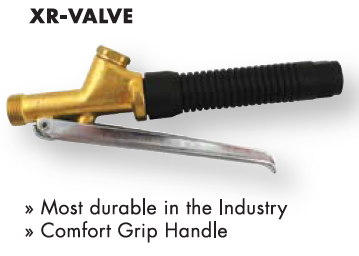 extension, and the durable XR-Valve. The tip shut-off feature reduces insecticide exposure. 4-way Tip model. The large opening in the top allows for easy filling and emptying, and the cap has a built-in gasket. Click the button below to add the B & G Pestpro 2000 Backpack to your wish list.